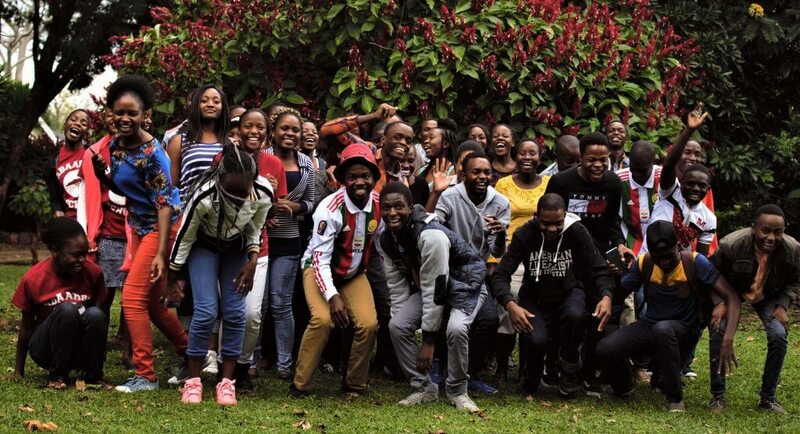 On the 18 August, 100 African students burst enthusiastically on to Arundel School’s campus to be engaged, enlightened, and inspired by the passionate Yale Young African Scholars team; undoubtedly these are some of our best young people: the hope of the continent. On the 20th, a smaller, more unassuming group started to arrive quietly by plane, bus, and car: 26 educators from across the continent (Zimbabwe, Swaziland, Malawi, Uganda, Tanzania and South Africa) for the Yale Young African Scholars Educators’ Conference, now in its second year. On the 21st these educators – made up of guidance counsellors, teachers, administrators and program educators – embarked on a tightly scheduled program aiming to equip them in assisting their students in applying to university. Higher Life Foundation’s Rebecca Chabwana kicked off the program with an introduction to their plethora of programs and scholarships available and then it was straight into our non-stop, two-day conference. Almost every hour was filled with talks and sessions led by United States admissions staff, EducationUSA’s Director, Tafadzwa Muzhandu and Education Matters staff. We were privileged once again to have as our core experts, admissions counsellors from top US Universities: Elisabeth O’Connell, Senior Associate Dean of Admissions at the University of Pennsylvania; Panetha Ott, Director of International Admissions at Brown University; Dr Shontay Delalue Assistant Provost for Global Engagement and Interim Vice President also at Brown University; and Jonathan Burdick, Vice Provost and Dean of Admissions and Financial Aid at the University of Rochester. Topics ranged from “The Role of a School Counsellor” and “How to write a Recommendation letter” to “African Student support on U.S. campuses”. Day two consisted of more informative talks and a combined session with the students where the educators heard presentations from international and local universities: Africa Leadership University (Mauritius and Rwanda), Africa Leadership Academy (South Africa), Ashesi University (Ghana), Brown University (Rhode Island, USA), University of Pennsylvania (USA) University of Rochester (New York, USA); and joined in a challenging admissions selection committee simulation, highlighting the intricacies and challenges of the application process. Arundel School were wonderful hosts again this year, “quite excellent,” as one educator put it. Two days was not long enough to get through everything except at break-neck speed and our educators kept up with it all spectacularly. We closed our conference with an informal certificate ceremony and some celebratory entertainment by returned student, Chido Chigwedere. The conference was much appreciated by the educators who used such words as “insightful and helpful,” “excellent, most informative and well-presented” and “I feel truly blessed to have been part of this program”. However, as we got to know this group of educators and to hear the stories of the students they have helped and continue to help over years of dedication, often with limited resources and little support, we know that they are the ones who should be receiving accolades. I’d like to express deep gratitude to African educators working in unrecognized places, tirelessly and passionately. They are the ones who stand behind our young people, those students we look to as the hope of our continent.